Streaming TV provider Omniverse has responded to the lawsuit filed by the Alliance for Creativity and Entertainment (ACE) last week. The company says it supports ACE's anti-piracy efforts and suggests that it too is a victim of piracy. The company hopes to resolve the matter swiftly. Based on the original complaint, this could mean that they will have to change their channel offering. 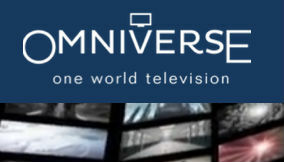 Last week, several major Hollywood studios, Amazon, and Netflix filed a lawsuit against Omniverse One World Television. Under the flag of anti-piracy group ACE, the companies accused Omniverse and its owner Jason DeMeo of supplying of pirate streaming channels to various IPTV services. Omniverse doesn’t offer any streaming boxes but sells live-streaming services to third-party distributors, such as Dragon Box, HDHomerun, Flixon TV, and SkyStream TV, which in turn offer live TV streaming packages to customers. According to ACE, Omniverse offered these channels without permission from its members. As such, the company is now branded as a pirate streaming TV supplier. Omniverse initially didn’t respond but in a statement sent to TorrentFreak a few hours ago, the company states that, even though it doesn’t agree with the allegations, it supports ACE’s anti-piracy efforts. “While Omniverse disagrees with the substance and the specifics of the allegations made against the company in a recent California court filing, we are highly supportive of the mission that the plaintiffs and their partners in the Alliance for Creativity and Entertainment (ACE) are carrying out,” the company says. With a lawsuit from some of the most powerful entertainment industry companies hanging over its head, Omniverse says that it intends to quickly and constructively resolve the concerns of the ACE members. “It is our belief that when this process is complete, that both sides will be satisfied with the outcome,” the company notes. In its statement, Omniverse further suggests that there may be some misunderstanding, stating that the company is also a victim of “unlicensed” distribution. “Omniverse believes there is no place in the industry for media pirates and, consistent with the plaintiffs, believes their legitimate business has been harmed by the unlicensed distribution of media content,” the company writes. Although Omniverse is the legal target, many other companies are directly affected by the lawsuit. This includes Silicondust, which operates the HDHomeRun Premium service. Theodore Head, President of SiliconDust, told Cord Cutters News that it’s aware of this risk and that it is trying to find a way to cope with the potential fallout for its customers. “SiliconDust is not a party of the lawsuit, but we can be indirectly affected by Omniverse not able to continue their service and so we are in the process of finding out a way to best mitigate any potential interruptions to our service and will let our customers know as soon as we know if there will be any change to the current services,” Head said. Omniverse itself will also try to address the matter and prevent any major disruptions, but it’s unknown whether it can continue with the same channels. According to ACE, several channels were offered without permission from rightsholders, so that’s one of the key issues to be resolved. The finer details of the allegations and Omniverse’s response will likely become apparent as the case progresses.